PONO Life Sciences today announced the establishment of a downtown Honolulu office which will serve as a location to further the education mission of the company. The entity is the management company for PONO Life Sciences Maui (PONO LIFE MAUI), one of two permitted dispensaries located in Maui County. The Honolulu office will also house the company’s accounting, communications and administrative teams, in addition to providing educational information about the medical marijuana industry. “We are a physician-driven and community focused organization. We realize the importance of showcasing our strength in education. We will focus our efforts on the Oʻahu and Maui communities, given the large number of currently certified patients in Hawaiʻi’s Medical Marijuana Registry Program that are concentrated in both counties, along with the number of tourists who share their time between both islands,” said Michael Takano, PONO LIFE MAUI’s chief executive officer. “Our community health goals are driven by informing the public of the benefits and appropriate use of the product, in addition to navigating patients through the state registration process,” said Takano. 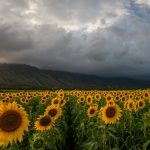 “Our educational and resource center is vital to helping our community realize its patient, product and community safety goals as we move forward with establishing our state-legal medical marijuana dispensary,” said PONO LIFE MAUI Board Member and Community Liaison, Dr. William Mitchell, Jr.
“We are pleased to announce we have started our quality assurance, genetic research and lab testing activity. We look forward to providing products to Maui patients who are certified to receive medical marijuana,” said Dr. Mitchell. 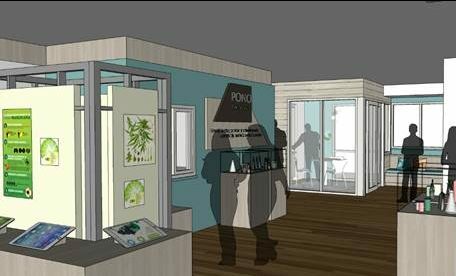 PONO LIFE MAUI was established in 2015 and expected to start selling medical cannabis this year.